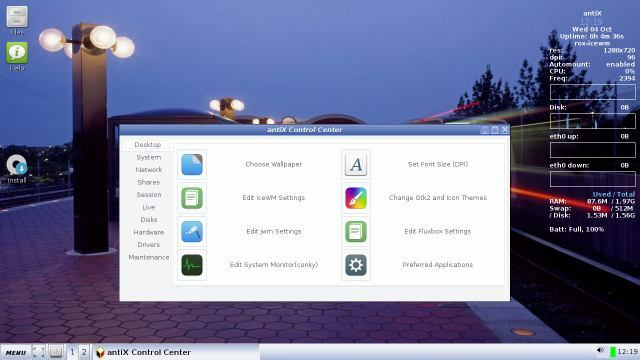 The Control Centre in antiX is a centralized application for configuring and administering various system tools, making it easier for a user to do the many different chores required for the maintenance and use of a Linux box. It is divided into 10 sections. Simply click on the icon to open the application you want to use.